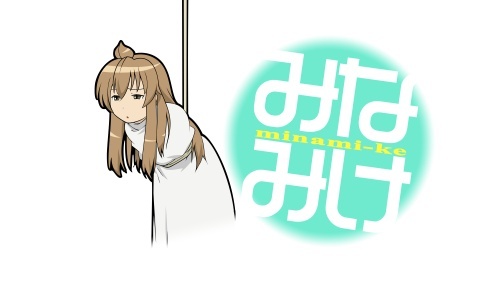 Alas, one of the best comedies in anime has ended, Minami-ke has become my all time favourite anime comedy. It took something as mundane as daily life and school life to the funniest extremes. It never failed to make me laugh throughout hte 13 episode series. And by the end of the series, it left me wanting for more. I can only hope Minami-ke: Okawari is just as good or better than the original. I heard that Okawari is being produced by another studio and is an alternate telling of the Minami sisters tales. I wish they had a second season of Minami-ke produced by the same studio. They did a brilliant job with animation quality, voice over and plot. There was so much potential to make another 13 episodes easily. So much character development that was left open. Did Haruka ever find out the really Mako-Chan? Did Fujioka end up confessing his love for Kana? Is Hosaka finally end up having a “conversation” rather than just simulations of Haruka? A preview of Okawari can be seen here. It’s basically just what you would have seen at the end of episode 13, promoting the new season. I look forward to it! The ride has been a blast!